Exams are finally over, hurray!! Last night my best friend from uni and I met up after four months of not seeing each other. Whenever we meet up we tend to go out for a couple of drinks and then a fancy dinner as neither of us drinks much and we much prefer doing something like that. 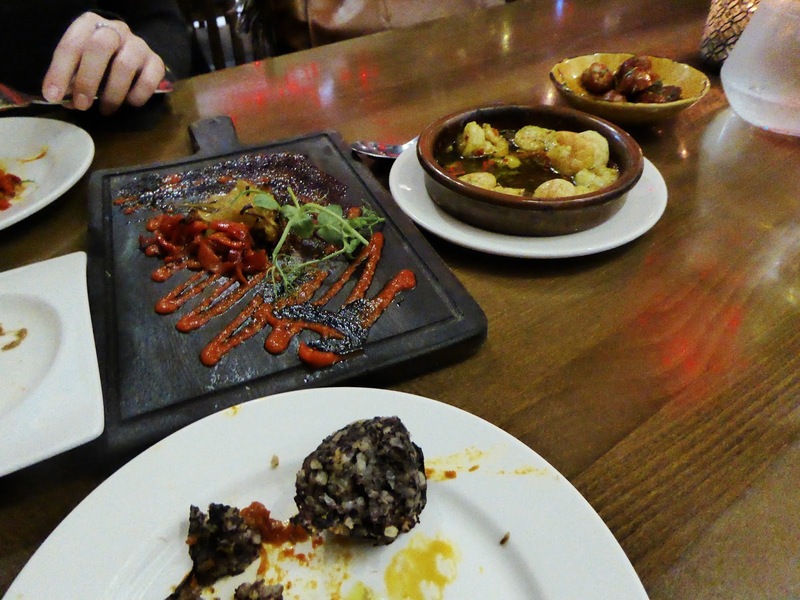 We decided early on in the evening that Spanish tapas was what we wanted and in the end chose the Catalan Spanish restaurant Lunya, which is on College Lane in Liverpool town centre. The restaurant itself is attached to their very famous deli and I’ve been there quite a few times before with friends and my boyfriend but my friend had never eaten in the restaurant itself before. I thought that was an absolute travesty of course, as it’s one of my favourite restaurants, so that was where we decided to eat. The first thing I’ll say about Lunya is that their service is like no where I’ve ever been before. Waiters are attentive, helpful if you need them to be but at the same time allow you the space to enjoy your meal without interruptions. Our server was a lovely Greek man whose name I cannot remember for the life of me and he made the experience all the more enjoyable. 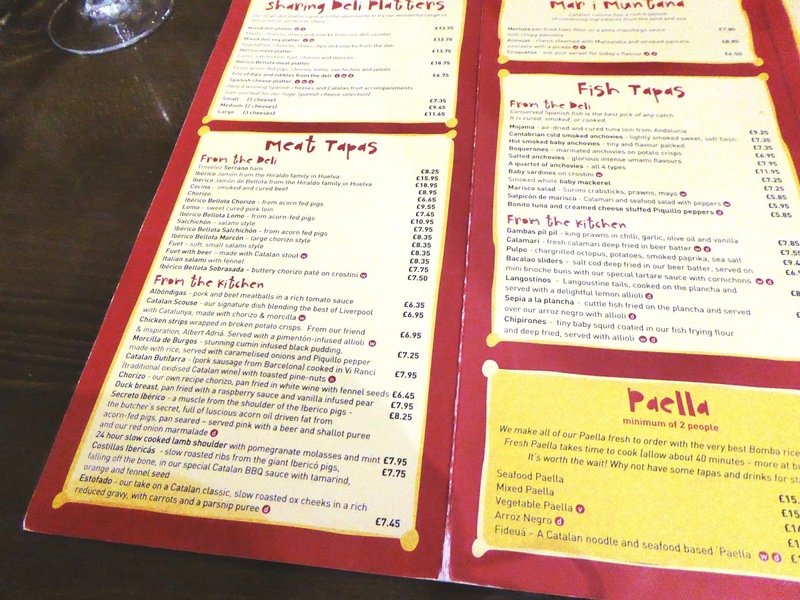 We decided to go with 7 little tapas dishes between us, although the menu does recommend 4 per person but in the past I’ve ordered way too much food and ended up wasting so decided that wasn’t a good idea. Firstly, we ordered Chorizo, which we specified to be warm and was absolutely amazing, just salty enough and gave off the most remarkable of flavours. 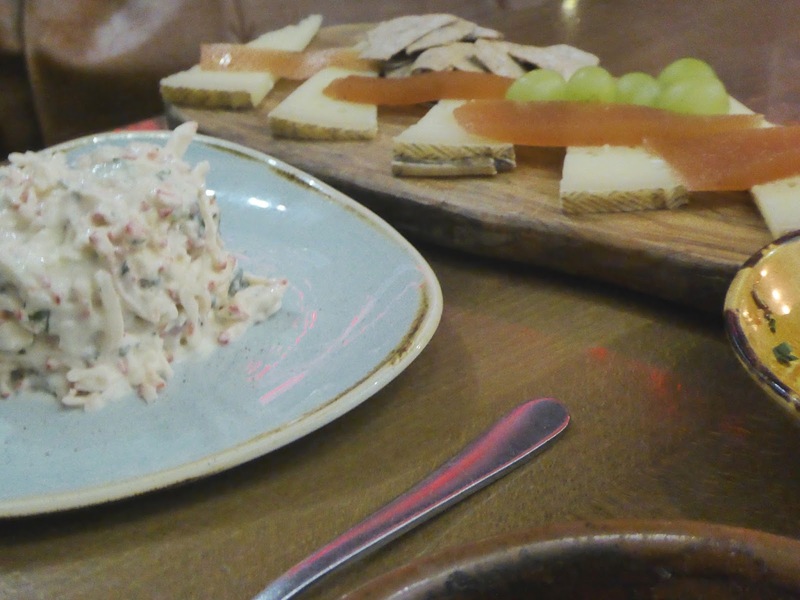 I’m not able to eat cow’s milk because of allergies so of course we ordered Manchego which is my all time favourite cheese- this dish comes with little cracker like biscuits and a jelly which is absolutely out of this world. We got Gambas pìl pìl, chilli prawns in a garlic olive oil. It was a little too spicy for my liking but I’m a bit of a wuss where that’s concerned. 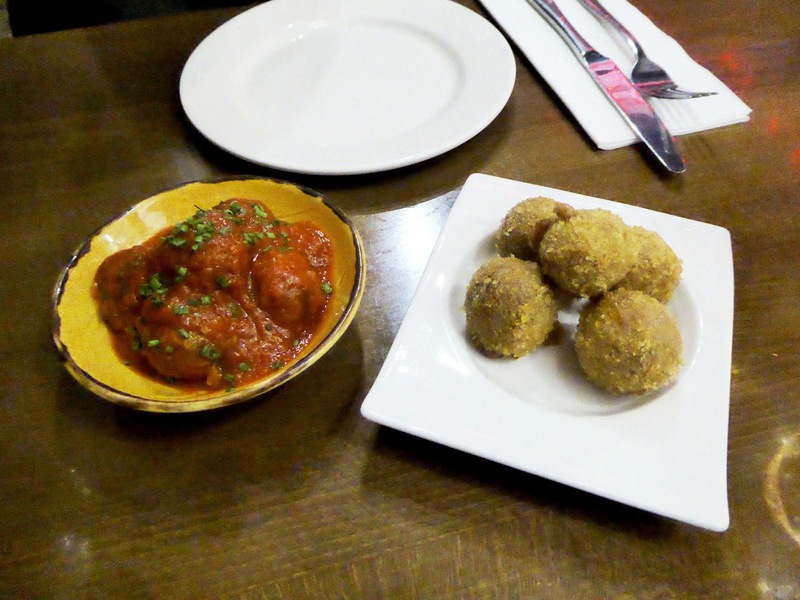 We also got pork and beef meatballs which were out of this world, a weird crab and seafood mayonnaise dish which we weren’t too keen on, some black pudding meatballs with spicy tomato salsa and finally my favourite of all, jamon croquetas which were absolutely out of this world. Croquetas are probably one of my favourite Spanish delicacies and these were absolutely incredible and I could have eaten an entire plate of them all to myself. We paired our tapas with glasses of wine (I went with a gewürztraminer, my favourite wine) and had the most incredible evening. We paid just over £30 each which I think is an absolute bargain considering everything that we ate. I 100% recommend Lunya to everyone as I honestly can’t think of a single thing that made the experience one I wouldn’t want to experience again.